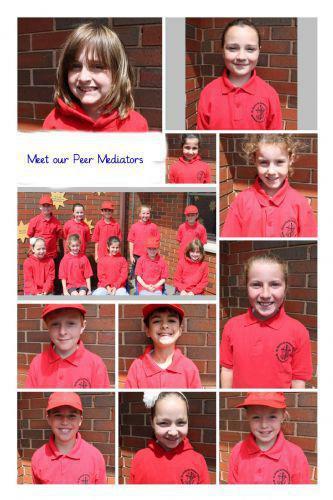 We are the Peer Mediators. Our role is to help younger children if they have any problems at lunchtimes. You can identify us by the red clothes that we wear. We will be sitting on the blue chairs near the library door. We will help you by listening to your concerns and help you to think about how to reach a compromise with your friends.